At Daytona Carpet Cleaning, we are experts at stain removal in Daytona Beach, FL. We all have the occasional stains on our carpets and upholstery, and the key to dealing with these stains is quick action. If you have a nasty stain, then it is best to call the professionals to ensure there is no long-term damage to your carpets or upholstery, and that the stain is removed completely and thoroughly. It can be pretty depressing when something gets spilled on your carpet or rug and leaves a nasty stain behind. If you can’t get the stain out right away you may even be looking at an expensive replacement. Don’t fret because with Daytona Carpet Cleaning’s expert stain removal service the situation is not as dire as one might think. Our professional Daytona Beach stain removal techniques can make even the most stubborn stains simply disappear. 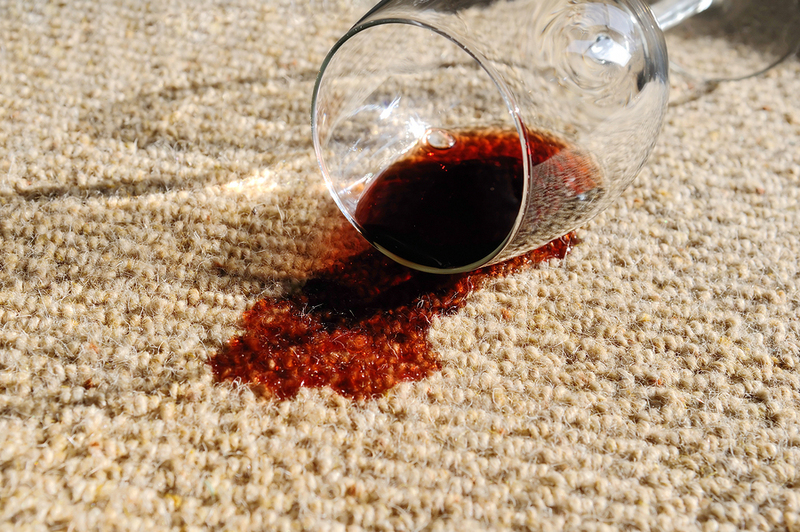 Even stains like wine and chocolate are no match for our expert stain removal methods. One thing to remember is that with stains, time is of the essence; the sooner you call us the better chance we have of completely getting a stain out. You can try removing the stain yourself but without the right equipment and chemicals you may actually make things worse and with our affordable and competitive stain removal service there is simply no need to try and tackle this problem yourself. So even if you have a red wine stain on a white sofa, our wine stain removal in Daytona Beach, FL process is going to remove that stain permanently, even if it looks hopeless. It is important to remember that time is very critical when it comes to getting stains out, including wine stains. You can try and get the stain out yourself but you may even end up making it worse. Daytona Carpet Cleaning offers a very affordable stain removal in Daytona Beach that is competitively priced so there is really no need to try and get the stain out yourself. We will respond quickly to your call and get to work removing the stain right away after arriving. We also never use harsh chemicals and detergents to get the stain in your carpet or rug out. Our stain removal methods call for only using 100% environmentally safe and non-toxic chemicals. These chemicals simply will not harm or ruin the delicate fibers in your rugs or carpeting. So the next time you get a bad stain on the carpet or rugs in your home or business, don’t despair, simply call Daytona Carpet Cleaning at 386-319-6662 and we will respond promptly and get that stubborn stain removed for you at an affordable price.